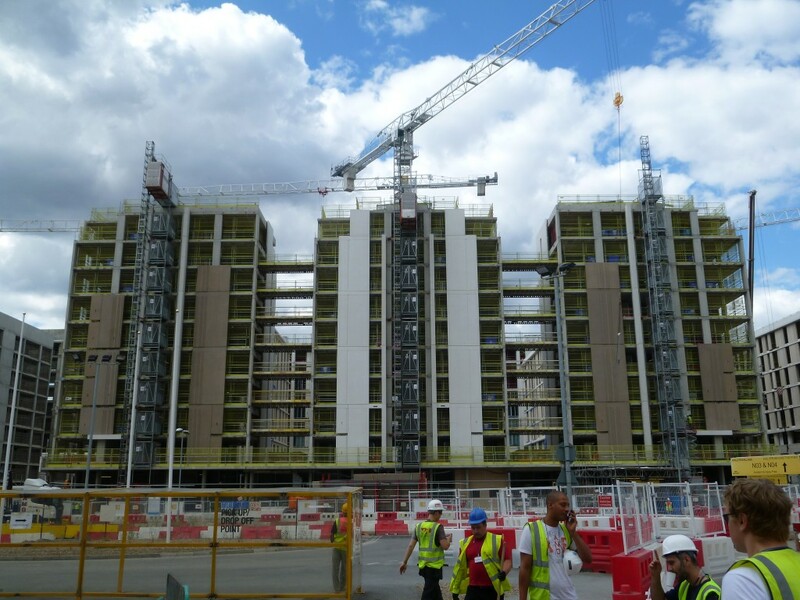 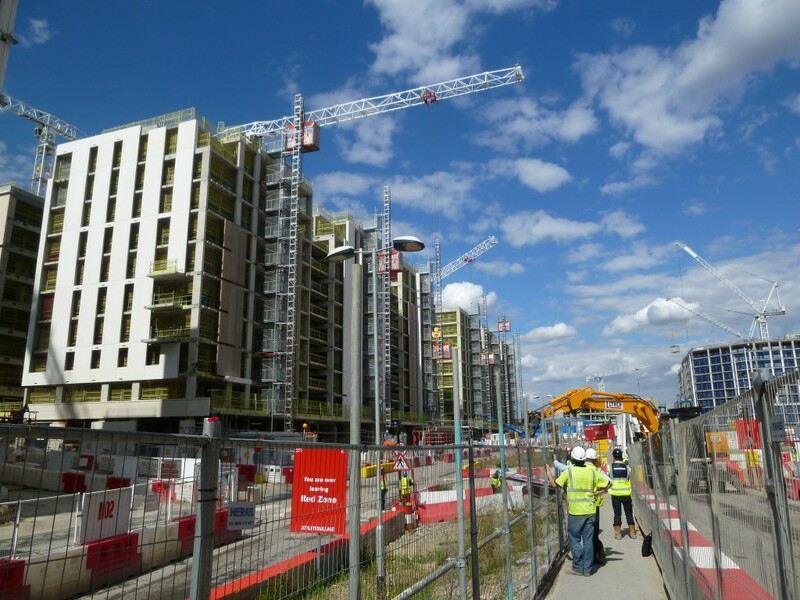 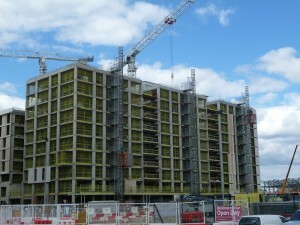 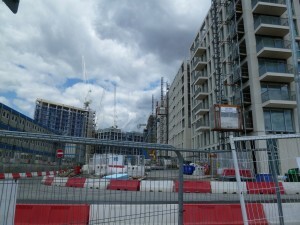 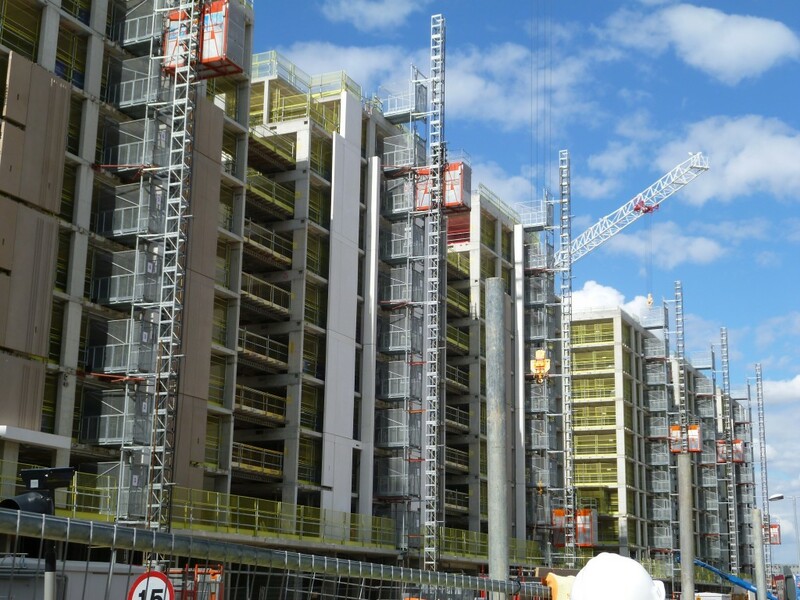 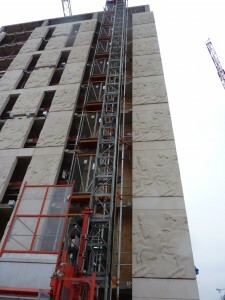 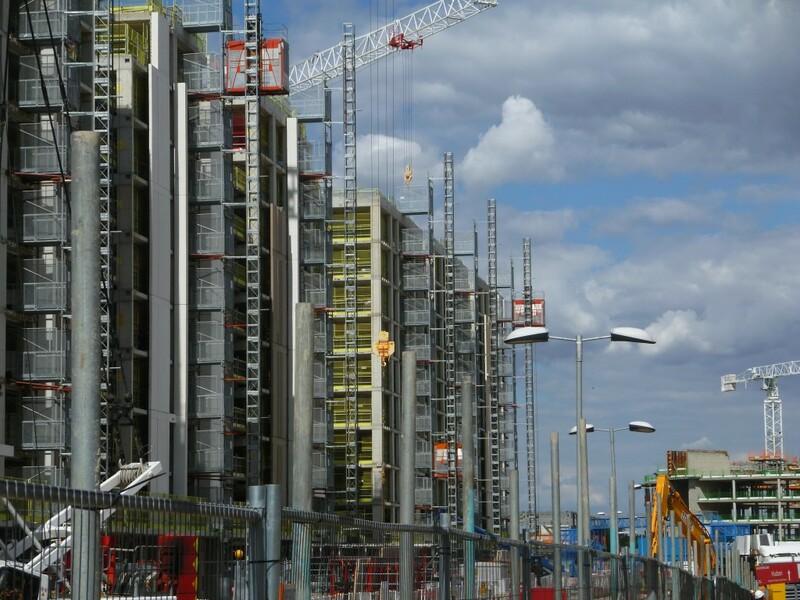 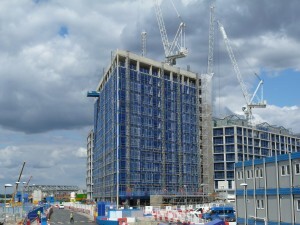 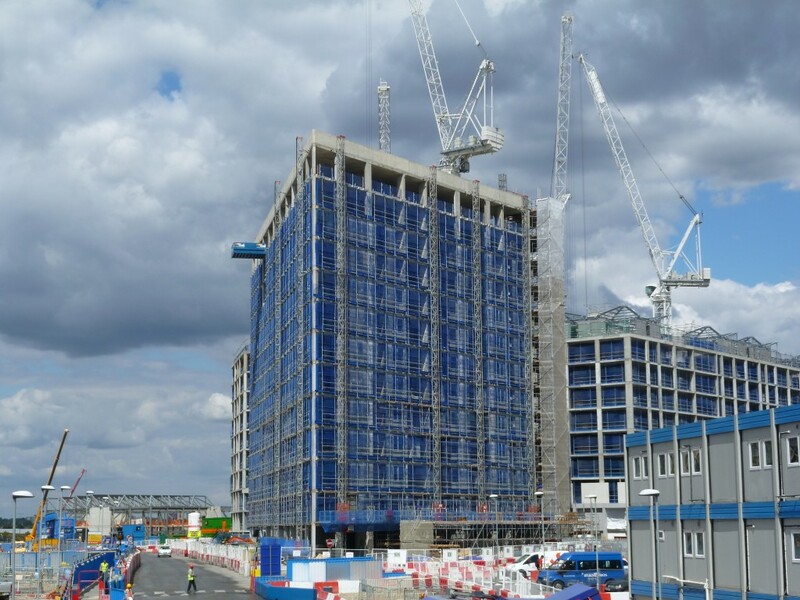 As part of the construction works for the 2012 Games, UBS supplied hoists and Common Tower to nine of the residential blocks, and were the major supplier of hoists to this project with 68 standard speed hoists on site during the construction works, one of the largest single hoisting contracts in Europe. 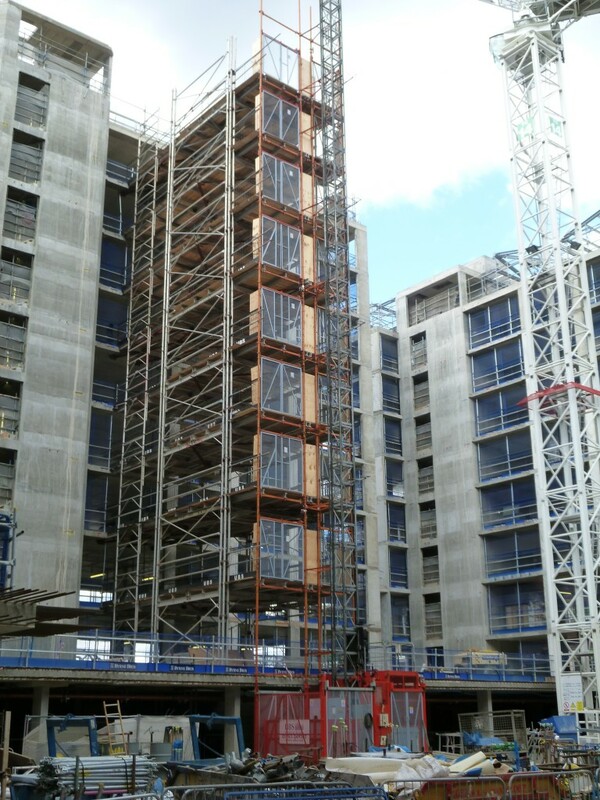 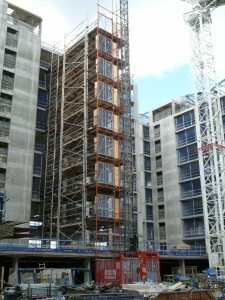 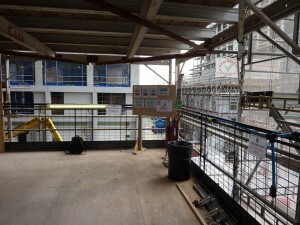 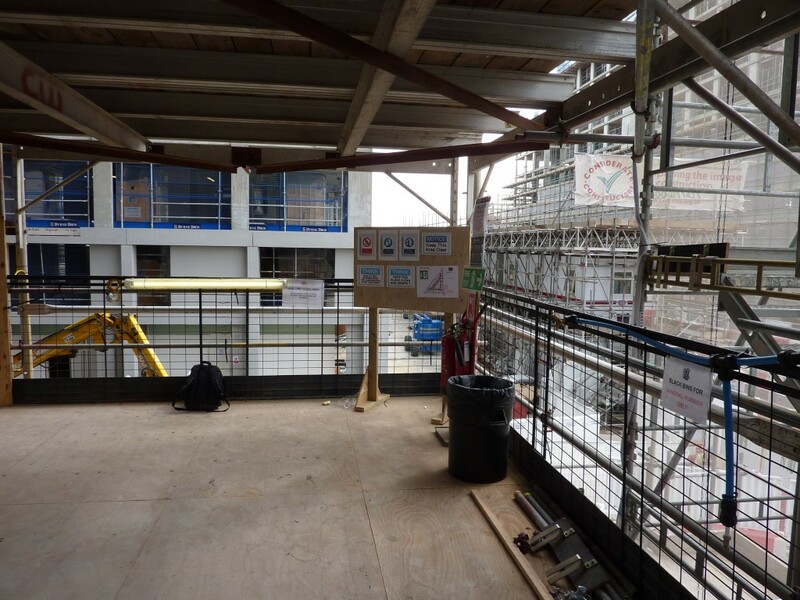 Hoists were required for access of personnel and materials during the construction of the residential blocks, and used in conjunction with the UBS Common Tower system (shown in the picture to the right) to give clear access to the buildings with the minimum of space being taken up at ground level, and also allowing for the large step backs some buildings had a roof level. 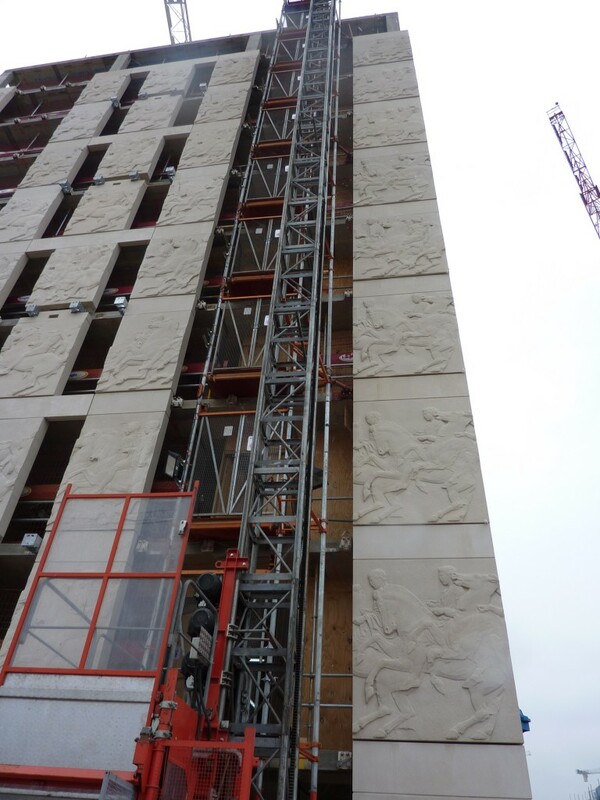 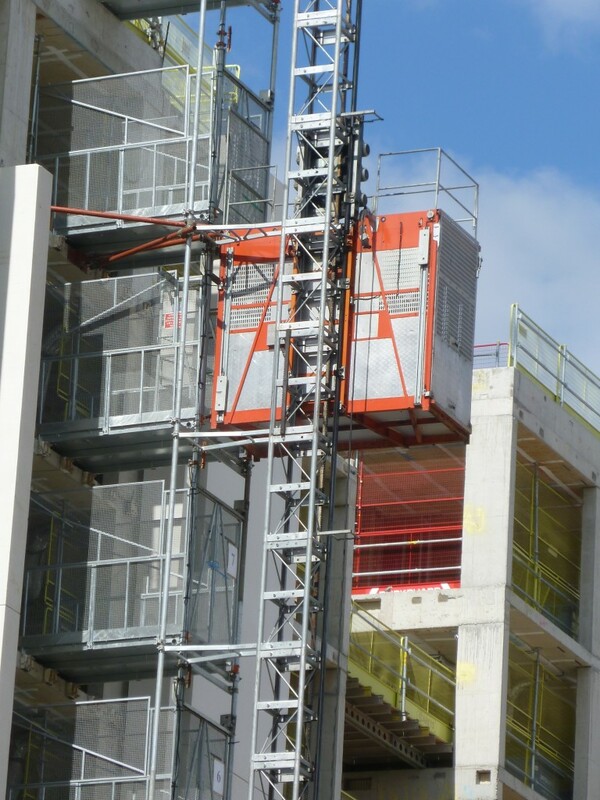 In addition UBS supplied mast climbers to one block which were used for fitting a lightweight cladding system to speed up the construction. 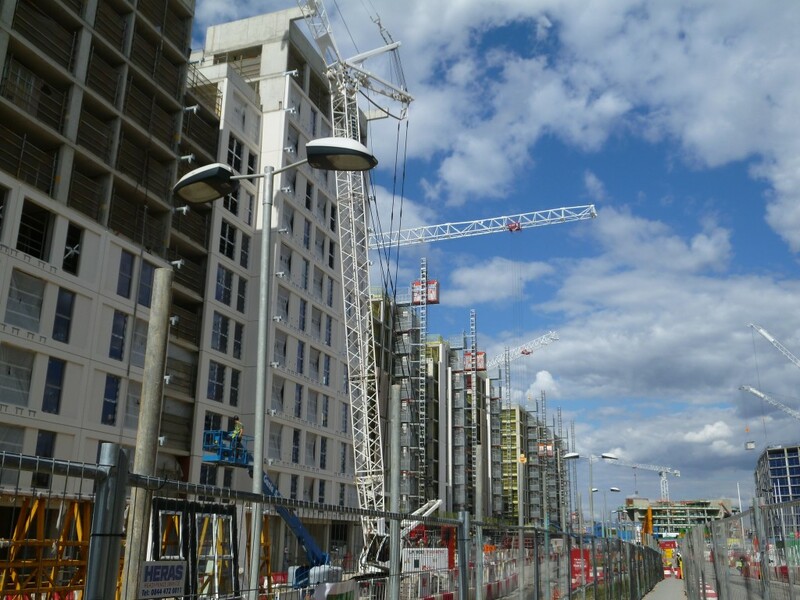 This picture shows some of the 68 standard speed hoists and bridges that UBS supplied for the construction of these residential blocks. 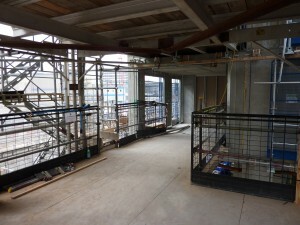 In this picture you can see a close up of one of the standard speed hoists and bridges supplied. Athletes village blocks N03 N04 single construction hoists steel bridges by UBS. 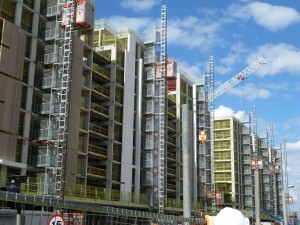 Athletes village block N04 single construction hoists steel bridges by UBS. Athletes village block N10 common tower with combination construction hoist by UBS. 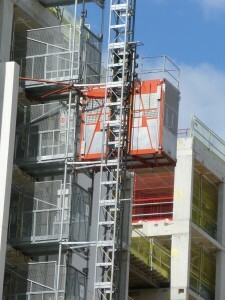 Athletes village block N15 single construction hoist by UBS. Athletes village view across N15 showing UBS construction hoists.